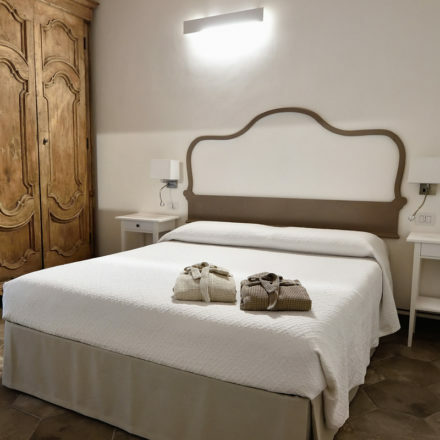 Relais Il Fuiroso has three suites and one apartment. The original roof with its wooden beams and exposed tiles tiles has been preserved throughout the building, buteach room’s colours and layout are unique. Every detail has been carefully studied to ensure our guests an extremely comfortable and pleasant stay. 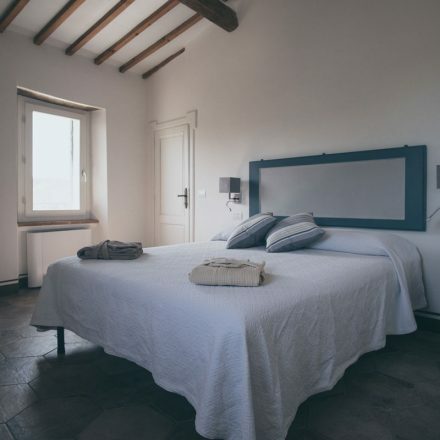 Composed of a living room with fireplace, a bedroom and a bathroom. 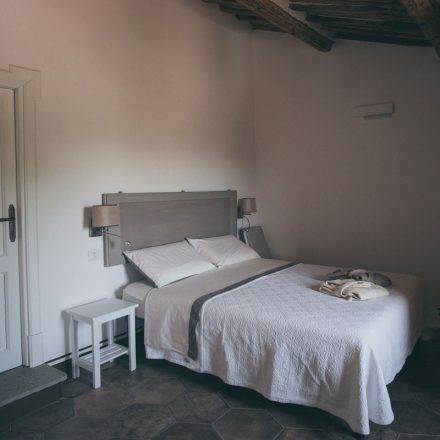 A luminous, youthful suite which overlooks Todi and the surrounding valley. The suite’s original fireplace contributes to its antique flavour. Composed of a living room with kitchenette, bedroom and bathroom. Ideal for those desiring total independence while also feeling at home. 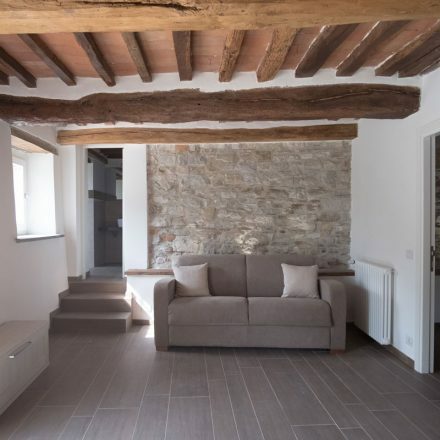 The apartment’s original stone wall gives it a touch of originality.